Amboseli National Park Kenya is a beautiful destination to visit. The park covers an area of 392 sq km and has a wide range of wild animals to view. 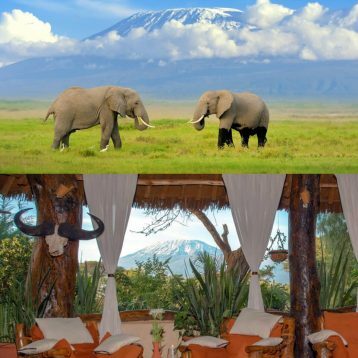 Amboseli National Park Kenya is situated at the foot of Africa’s highest mountain; Mt. Kilimanjaro. 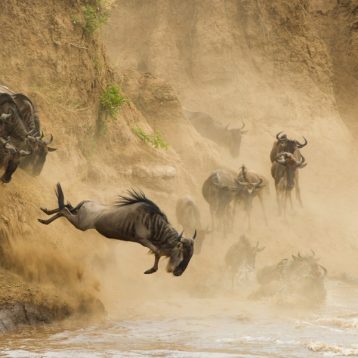 The park is situated in Loitoktok District, Rift Valley Province of Kenya. 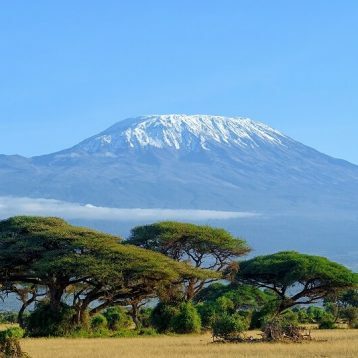 Mount Kilimanjaro can visibly be viewed from Amboseli. The parks natural environment is vastly savannah grassland stretching across the Kenya Tanzania border. The park is well known for being one of the finest places in Africa to get close to free-ranging elephants among other wildlife species. Amboseli National Park covers only 392 sq km but despite its small size and its fragile ecosystem it supports a wide range of mammals and over 400 bird species. The park has the extraordinary array of wildlife and the contrast between the arid areas of the dry-lake bed and the oasis of the swamps. Amboseli offers some of the best opportunities to see African animals because its vegetation is sparse due to the long dry season. 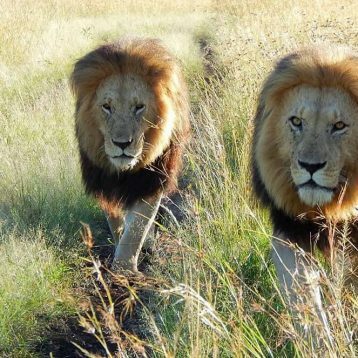 Amboseli National Park is the natural habitat to many wild animals such as the buffalo, giraffe, African elephant, lion, impala, hyena, cheetah and zebra among other African wild animals. The park is can be accessed though road or air. The main road leading into the park is from Nairobi via Namanga which is about 240 km on the Nairobi – Arusha Road, passing through Meshanani Gate. One can also use the road from Nairobi via Emali which is about 228 km on the Nairobi – Mombasa Road. Also access from Mombasa is mainly through Tsavo West National Park via Kimana Gate. The area is also home of the Masai people, but people from other parts of the country have settled here attracted by the successful tourist-driven economy and intensive agriculture along the system of swamps that makes this low-rainfall area one of the best wildlife-viewing experiences in the world with 400 species of birds including pelicans, water birds, hammerkops, kingfishers and crakes.